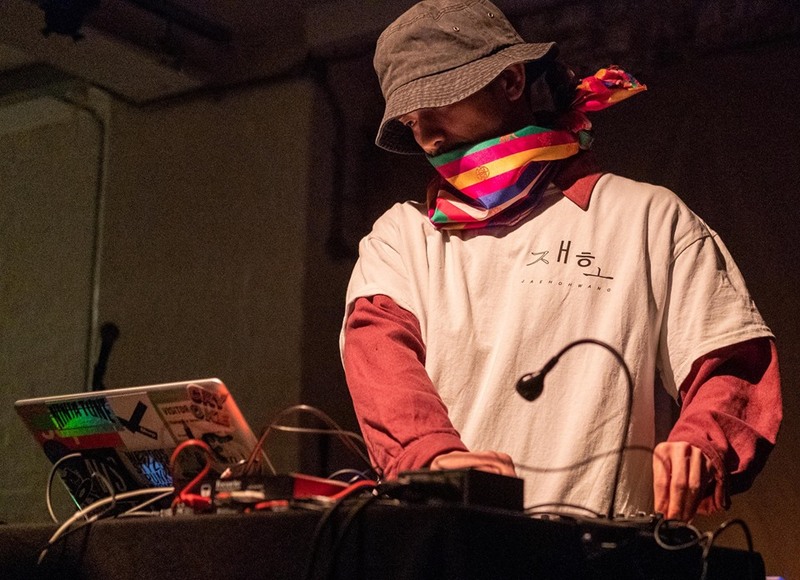 Jaeho Hwang is a London-based, South Korean composer and visual artist inspired by the Buddhist concept of impermanent selfhood, his first EP combines dark, industrial club beats with traditional Korean instruments and samples. He explores his sense of identity in the digital age as refracted through the Buddhist concept of anatta, or non-self—the belief that there is no unchanging, permanent soul or essence in living beings. Jaeho draws from the dark, stuttering beats from London’s experimental club scene—harsh industrial sounds recall no-wave’s minimalist deconstruction. His use of traditional Korean instruments within this context, like the piri bamboo flute, or the stringed kayagum, recast traditional textures into modern form. On Sad Relationship, Jaeho samples the famous 80s South Korean pop ballad of the same name. The song glitches like a memory, warped and torn by an electronic tumult, and haunted by the original’s sentimental melody.